AT RELIABANK, WE'RE COMMITTED TO PROVIDING A POSITIVE CUSTOMER EXPERIENCE TO ALL OUR CUSTOMERS, AND WE AIM TO PROMOTE ACCESSIBLITY AND INCLUSION. WE BELIEVE ALL OF OUR CUSTOMERS SHOULD BE ABLE TO SUCCESSFULLY BANK ONLINE AT WWW.RELIABANK.COM. WHETHER YOU ARE USING ASSISTIVE TECHNOLOGIES LIKE A SCREEN READER, A MAGNIFIER, VOICE RECOGNITION SOFTWARE, OR SWITCH TECHNOLOGY, OUR GOAL IS TO MAKE YOUR USE OF RELIABANK A SUCCESSFUL AND ENJOYABLE EXPERIENCE. WE ARE CONTINUOUSLY IMPLEMENTING TECHNOLOGY IMPROVEMENTS TO ENHANCE ACCESSIBILITY ON OUR SITE. AS WE CONTINUE TO STRIVE TOWARD OUR GOAL OF PROMOTING ACCESSIBILITY, WE WELCOME YOUR FEEDBACK ON HOW WE MIGHT IMPROVE. IF YOU HAVE DIFFICULTY ACCESSING ANY FEATURE OR FUNCTIONALITY OF THIS WEBSITE, PLEASE FEEL FREE TO CALL US AT 1-800-525-0399 OR EMAIL US AT RELIABANK@RELIABANK.COM. Reliabank is currently taking a variety of steps and devoting resources to further enhance the accessibility of our website and mobile site. 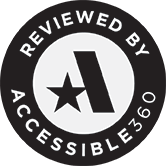 We have engaged an experienced accessibility consultant, Accessible360, to conduct a website accessibility audit and provide recommendations to increase accessibility so that our website and mobile site meet or exceed applicable standards. THIS CONSENT TO ELECTRONIC DELIVERY OF DISCLOSURES (“Consent’) applies to the periodic statements and to the disclosures which are required under the Equal Credit Opportunity Act, Electronic Funds Transfers Act, Truth in Lending Act, and Truth in Savings Act. In order to receive these disclosures and your periodic statements electronically you must consent to electronic delivery of these documents. You have the right to receive non‐electronic copies of these disclosures. If you desire copies by mail please contact us at Reliabank Dakota, PO Box 128, Estelline, SD 57234, telephone 605 873‐2261 and please inform us of the mailing address to which you would like the disclosures mailed. Alternatively, you may obtain copies of the disclosures in person by visiting our offices at 211 N Main Street, Estelline, SD. You have the right to withdraw your consent to receive these disclosures electronically by informing us of your withdrawal of this consent, and you may send us a withdrawal of this Consent by e‐mail to reliabank@reliabank.com. We will not charge any fees for providing copies of the disclosures and periodic statements in non‐electronic form and no fee will be charged if you withdraw this consent. This Consent applies only to the particular disclosures described and does not apply to any other transactions between you and Reliabank Dakota. If you change your e‐mail address, you must notify us so that we will have the correct address to deliver information to you regarding your accounts. You may notify us concerning a change in your e‐mail address by sending an e‐mail to reliabank@reliabank.com. In connection with this Consent, we are required to provide you with a statement of the hardware andsoftware requirements for access to and retention of our electronic disclosures. In order to view the disclosures and agree to this Consent you will need to have a computer that can run the software, a valid e‐mail address and Adobe Acrobat Reader software that allows you to save the disclosures on your personal computer or an e‐mail account service that allows you to retain the disclosures under your personal e‐mail account. By choosing the Submit button you agree that the disclosures referred to above may be provided to you electronically and confirm that you can access the disclosures. You may indicate your agreement to this Consent in a separate e‐mail message to the Bank at reliabank@reliabank.com. This Online Banking Agreement ("Agreement") explains the terms and conditions governing access to the Online Banking Services (“Services”) offered by Reliabank Dakota via its website Reliabank.com (the “Site”). By using the Services provided through the Site, you are entering into a legal agreement with Reliabank Dakota to abide by this Agreement as it may be amended from time to time. If you do not wish to be bound by this Agreement, please refrain from using any Services and exit the Site immediately. The first time you access any of your Bank accounts through the Site, you are confirming your agreement to be bound by all of the terms and conditions of this Agreement and you thereby acknowledge your receipt and understanding of this disclosure. DEFINITIONS. The term "Services" means the online banking services provided pursuant to this Agreement and may include Bill Payment services. The customer is referred to in the Agreement as "you" or "your" and includes each signer on an account. The terms “Bank,” "we," "us," and "our," refer to Reliabank Dakota. “Business Days” are defined as Monday through Friday, excluding Federal holidays. REGISTRATION; IDENTIFICATION. In order to obtain and use the Services, you must complete our initial registration process. The online banking registration process involves completing and submitting a secure online application. You may activate your online service by applying with your social security number and your account number for validation. Upon validation, you may create an Access ID (“ID”) and set the password for your account. Your password can be changed through the Site. We recommend changing your password frequently. We will reset your password upon your request at any time. The reset password will be usable only once, and you will be required to change it the first time you use it to access the Services after the reset. DESCRIPTION OF SERVICES. Bank agrees to provide you Services, which will enable you to use the Site to check the balance of your Bank accounts, view Bank account histories, transfer funds between your eligible Bank accounts, make stop payment requests, view check images if available, view statements, and pay bills from your specified checking account in the amounts and on the dates your request, if eligible for Bill Payment. This list is not exhaustive, and the Bank may offer additional or different online banking services in the future, all of which will be subject to this Agreement. Some Services may not be available for certain accounts or customers. Any account for which you are only an authorized signer, but have no ownership rights will not be accessible via the Site. a. LIMITATION ON TRANSFERS. You can make an internal transfer of funds from one account with the Bank to another, such as a transfer from a savings account to a checking account. Transfers may be limited in amount as provided in our agreements with you governing these services or in accordance with Bank policies. Funds are available according to the Funds Availability Policy you received when you opened your deposit account. If a hold has been placed on deposits made to an account from which you wish to transfer funds, you cannot transfer funds until the hold expires or is deleted by the Bank. The Bank reserves the right to further limit the frequency and dollar amount of transactions from your accounts for security or credit reasons, as the Bank may determine at any time at its sole discretion. Transfers made after 4:00 P.M. (CST) will be processed on the next Business Day. b. BILL PAYMENT SERVICES. To be eligible to receive Bank’s bill payment services ("Bill Payment"), you must have a checking account with the Bank. Bill Payment may be used to initiate and authorize payments from your account(s) with Bank to payees you have selected in advance to receive payment by means of this service. You are responsible for setting up all Bill Payment transactions, including, without limitation, designation of the payee, amount of bill payment, date of payment, and frequency. Bill Payment services are limited to payees with United States addresses. While most payments can be made using Bill Payment, the Bank reserves the right to refuse to pay certain payees. The Bank also reserves the right to terminate your use of the Bill Payment service at any time. i. PAY DATE; PAYMENT PROCESSING. The pay date is the date when the payee receives your payment. When you enter an amount for payment, the earliest date you can select for the payee to receive the payment will be automatically displayed. You can either accept this date or change it to a later one. When scheduling bill payments, you should take into account delays that are inherent in processing and sending payments. Payments will only be processed once a day at our online service Business Day cut-off time (4:00 p.m. CST) (the “Cut Off”). If you attempt to schedule a payment for the same Business Day after the Cut-Off time or on a non-Business Day, it will not be processed until the following Business Day. Further delays may be caused by the failure of the payee to process a payment on the Business Day that it is received. It is your responsibility to authorize your bill payments in such a manner that your bills are paid on time. You are responsible for any late payment or finance charge that may be imposed as a result of your failure to schedule payments or transmit payment instructions in a timely manner. If the payment is sent electronically, the money for the payment is withdrawn from your payment account on the pay date. If the payee cannot receive electronic payments, a check will be sent to the payee’s billing address, and the money for the payment may be withdrawn on the pay date or when the payee deposits or cashes the check. ii. DEMAND OR RECURRING PAYMENTS. You have the option of setting up a payment to occur only on demand or on a recurring basis. Recurring payments are payments of a fixed amount that are paid at a regular time interval, such as monthly; and on demand payments are payments that vary in amount and/or date. Recurring payments must be for the same amount each month, and will be sent on the same calendar day of each month, or on the prior Business Day if the regular payment day falls on a Saturday, Sunday, or Federal banking holiday. iii. AUTHORIZATION. When you enter and transmit bill payment instructions to the Bank, you authorize the Bank to withdraw funds from your account accordingly. The Bank will automatically execute bill payments according to your instructions until you have properly notified the Bank of any cancellation of your instructions in accordance with the Bank’s procedures in effect at that time. You further authorize the Bank, and any third party processing agent that we may select, to use any payment method (electronic or paper) we choose to process each of your payments. We are not responsible for any delay or other adverse consequence that results or is alleged to result from the choice of handling or transmission of payments by a third party, or the failure of a payee to accept, process or properly post a payment in a timely manner. When using the Bill Payment service, you agree that the Bank, without prior notice to you, may debit any payment account(s) to pay checks that you have not signed by hand or by legally acceptable form of electronic signature. iv. AUTHORIZED PERSON. Bank may accept oral or written instructions (including written instructions sent via facsimile or other electronic transmission) from any person who has been provided an ID and password by you (collectively “Authorized Person”). Any Authorized Person may utilize the Services and access your account(s). You hereby agree to assume full responsibility for controlling the distribution of your ID and/or password and for maintaining the security of same. Bank may require further written confirmation of instructions given orally or by facsimile. Any person authorized to sign on an account is also deemed to be authorized to conduct any transaction related to that account. Bank may, at its discretion, rely on any written notice containing signatures of an Authorized Person if Bank believes, in good faith, that the signature is genuine. If an Authorized Person uses your account to pay bills which are not yours, you assume the entire risk of loss and indemnify and hold us, our directors, officers, employees, and agents harmless from all loss, liability, claims, demands, judgments and expenses arising out of or in any way connected with such use. All use of the Services made by an Authorized Person or by means of your ID and password shall be deemed authorized by you. Each Authorized Person may act alone. If Bank receives conflicting instructions from Authorized Persons, Bank may honor one or more of the instructions received, refuse to honor any of the instructions until Bank receives instructions to which all Authorized Persons agree, or submit to a court all funds which are subject to the conflicting instructions. v. RIGHT TO REFUSE PAYMENT REQUESTS. If there are insufficient funds in theaccount to make payments you have authorized, one additional attempt will be made to make the authorized payment on the next Business Day after the failed attempt to make payment. If the second payment attempt also fails due to insufficient funds, the Bank will cease its attempts to make payment and you will be solely responsible for ensuring your payments are made in another manner. You are responsible for any non-sufficient funds ("NSF") or overdraft charges the Bank may impose, as stated in the deposit agreements governing your accounts. The Bank reserves the right to refuse to honor payment requests that reasonably appear to the Bank to be fraudulent, incomplete, erroneous, or if you do not follow the Bank’s instructions for the Bill Payment services. In addition, the Bank will not be able to execute any bill payment if the payee cannot or will not accept such payment. vi. BUSINESS ACCOUNT USERS. If you maintain with the Bank a corporate, business or other account not established primarily for personal, family or household purposes, your use of the Bank’s Bill Payment service is not subject to the error resolution rights and other rights set forth in Section 32 of this Agreement. In the event you believe a bill payment from your account was made in error, the Bank will take reasonable actions to assist you in investigating the cause of the potential error. Consult your account agreement for additional information regarding your rights and obligations. vii. STOP PAYMENT. If you have told us in advance to make regular payments out of your account, you can stop any of these payments. You may stop payment of a bill payment from your account by canceling the payment using the Site, by calling us at (800)525-0399 or by writing us at P.O. Box 128, Estelline, SD 57234 in time for us to receive your request three (3) Business Days or more before the payment is scheduled to be made. If you call, we may require you to put your request in writing and get it to us within fourteen (14) days after you call. You will be charged a fee for any stop payment order that you initiate per the Schedule of Fees and Charges. Once a bill payment has cleared, you can no longer stop payment. If you fail to comply with the requirements of this section, we will not be liable for any failure to stop payment of a bill payment from your account. If you order us to stop a bill payment three (3) Business Days or more before the transfer is scheduled, and we do not do so, we will be liable for your losses or damages. If the payment has not started processing, you may also use the Site to make changes to the following information: account from which to make the payment, date you want the payee to receive the payment, and/or amount of the payment. c. HOURS OF ACCESSIBILITY. You can generally access the Services seven (7) days a week, twenty-four (24) hours a day. Periodically, the Services may not be available due to system maintenance or reasons beyond Bank’s control. Bank specifically does not warrant that the Services will be available at all times. During these times when Services are not available, you may use a Bank ATM or a branch to conduct your transactions. A transaction initiated through the Site before 4:00 p.m. (Central Time) on a Business Day is generally posted to your account the same day. All transactions completed after 4:00 p.m. (Central Time) on a Business Day or on a Saturday, Sunday or federal banking holiday will generally be posted on the next Business Day. d. ORDER OF PAYMENTS; OVERDRAFTS. It is your responsibility to ensure that you have enough money in an account from which you instruct us to make a payment or transfer. If funds are withdrawn from any of your accounts by means of an electronic funds transfer not initiated through the Site on the same business day as a transaction initiated through the Site, and if the account contains insufficient funds to enable both transfers to be made, the transfers will be made in the order determined by the Bank, in its sole discretion. You are fully obligated to us to provide sufficient funds for any payments or transfers you make or authorize to be made. If we complete a payment or transfer that you make or authorize and we subsequently learn that you have insufficient funds for the transaction, you agree to reimburse us upon our demand, and you further agree that we may reverse the transaction or offset the shortage with funds from any other deposit account(s) you have with us to the extent permitted by applicable law and the terms of any other relevant agreements. 5. COMPUTER REQUIREMENTS. In order to use the Services, you must have access to a computer or approved mobile device and access to the Internet through an Internet or mobile service provider via a web browser (for example, Firefox or Microsoft Internet Explorer). You are responsible for the installation, maintenance, and operation of your computer, mobile device and any related software. To provide the highest degree of confidentiality and to protect the security of your financial information, you must have an Internet browser that supports 128-bit encryption and secure sockets layer version 3.0 or higher. Use of the Services with lower than 128-bit encryption is strictly prohibited. 6. SECURITY PROCEDURES. You agree and consent to participate in security features on the Site, such as registering and answering security questions or changing your password, and any other security procedures established by Bank and provided to you from time to time. You will need your ID and password to gain access to the Services. You acknowledge that use of an ID and password is the agreed security procedure between you and the Bank, and that this procedure is commercially reasonable and adequate for the purposes intended. For security purposes, it is recommended that you memorize your ID and password and do not write them down. You are responsible for keeping your ID, password and account data confidential in order to prevent unauthorized use of the Services and possible loss to your accounts. Anyone to whom you give or disclose your ID and password will have full access to your accounts, even if you attempt to limit that person’s authority. You are responsible for all transactions you authorize or make using the Services, including any transactions that may be unintentionally or inadvertently authorized or made, and any losses, charges, or penalties incurred as a result. In addition, except as otherwise provided in this Agreement, you are responsible for transactions by unauthorized persons using your ID and password, and the Bank undertakes no obligation to monitor transactions through the Site to determine that they are made on your behalf. Bank may rely on the security procedures identified herein to determine whether any instructions are authorized, and you will be bound by instructions issued in your name and accepted by Bank in compliance with the security procedures, whether or not you actually authorized such instructions. If you believe or have reason to believe that any security procedure or password has or may have become known by unauthorized persons, you should immediately notify Bank by calling us at (800)525-0399 and agree to confirm that oral notification in writing to us at P.O. Box 128, Estelline, SD 57234 within 24 hours. Bank shall have no liability for losses caused by unauthorized access to any confidential information and you will indemnify and hold Bank harmless from any losses, costs, suits, damages, liabilities and expenses resulting from your failure to keep your ID and/or password confidential or otherwise adequately manage the use and security of your ID and/or password. You will be liable for any instructions and other communications initiated before Bank has received such notice and has had a reasonable opportunity to act on such notice. The Bank reserves the right to change any or all of the security procedures at any time within this Agreement. 7. REPORTING UNAUTHORIZED TRANSACTIONS. If you believe that your ID and/or password has been stolen or compromised or that an unauthorized transaction has been or may be made from your account, alert the Bank immediately by calling us at (800)525-0399 or writing to us at P.O. Box 128, Estelline, SD 57234. An immediate telephone call to us is the best way of keeping your possible losses down. Additional information regarding unauthorized transactions on accounts established primarily for personal, family, or household purposes can be found in Section 32.
a. When you visit the Site to use the Services, you are communicating with us electronically, and you consent to receive communications from us electronically. We may communicate with you electronically by e-mail or by posting notices on the Site. In general, communications sent over the Internet are not necessarily secure. Therefore, we will not send and we strongly suggest that you do not send any confidential account information via e-mail. You agree that we may take a reasonable time to act on any e-mail. Correspondence that requires expeditious handling, for example, if you need to report an unauthorized transaction from one of your accounts, should be made by calling the Bank at (800)525-0399. Unless you have instructed us otherwise, you agree that we may send you electronic messages about products or services we offer. b. You agree that all agreements, notices, disclosures, and other communications that we provide to you electronically satisfy any legal requirement that such communications be in writing. You agree that all electronic communications that we receive through the Services, such as those directing us to take an action with respect to your account, that match your ID and password or other identifying information you have provided when registering for or using the Services will be deemed valid, authentic and binding obligations. Pursuant to law and regulations, these electronic communications therefore will be given the same legal effect as your written and signed paper communications, shall be considered a "writing" or "in writing" and shall be deemed for all purposes (i) to have been "signed;" and (ii) to constitute an "original" when printed from electronic files or records established and maintained in the normal course of business. You agree that electronic copies of communications are valid and you will not contest the validity or enforceability of such communications or any related transactions, absent proof of altered data or tampering, under the provisions of any applicable law relating to whether certain agreements are to be in writing or signed by the party to be bound thereby, and such copies shall be admissible if introduced as evidence on paper in any judicial, arbitration, mediation, or administrative proceeding to the same extent and under the same conditions as other business records originated and maintained in documentary form. c. You agree (to the maximum extent permitted by law) to hold harmless us and protect and indemnify us from and against any and all claims, losses, liability, damages and/or demands (including, without limitation, reasonable attorneys' fees and court costs) of any kind, direct or indirect, arising out of or in any way connected with any Services rendered by the Bank pursuant to or in accordance with any and all electronic communications for which we have attempted to verify your identity as set forth above. e. If you provide us your permission. 10. CONFIDENTIALITY AND ACCESS TO THE SITE. The Bank shall exercise due care in seeking to preserve the confidentiality of your ID and password and to prevent access to the Site in general and your accounts in particular by unauthorized persons. It is understood and agreed that implementation by the Bank of its normal procedures for maintaining the confidentiality of information relating to its customers and preventing unauthorized transactions shall constitute fulfillment of its obligation to exercise due care. The Bank shall not be under any liability or have any responsibility of any kind for any loss incurred or damage suffered by you by reason or in consequence of any unauthorized person gaining access to or otherwise making use of your accounts through the Site if (i) the Bank has fulfilled its obligation of due care, (ii) the loss or damage could have been avoided had you promptly notified the Bank when you received knowledge or notice of an unauthorized transaction or other breach of security, or (iii) the unauthorized transaction was a transfer of funds to an account owned by you or by any person or entity which controls, is controlled by, or is under common control with you. You assume full responsibility for the consequences of any misuse or unauthorized use of or access to your accounts via the Site or disclosure of any of your confidential information or instructions by your employees, agents or other third parties. When the Bank becomes aware of any unauthorized access to your accounts, it will advise you as promptly as practical thereafter. 11. HARDWARE AND SOFTWARE MALFUNCTIONS. The risk of error, failure, incompatibility or nonperformance of your computer system is your risk and includes the risk that you do not operate your computer or your software correctly. The Bank is not responsible for any errors or failures from any malfunction of your computer or software. The Bank shall have no liability to you for any damage or other loss, direct or consequential, which you may suffer or incur by reason of your use of your computer or your software. THE BANK MAKES NO WARRANTY TO YOU REGARDING YOUR COMPUTER OR YOUR SOFTWARE, INCLUDING ANY WARRANTY OR MERCHANTIBILITY OR FITNESS FOR A PARTICULAR PURPOSE. The Bank makes no representations or warranties regarding the accuracy, functionality, or performance of any third party software that may be used in connection with the Site. The Bank is not responsible for any electronic virus or viruses that you may encounter, and we strongly recommend that you maintain up-to-date antivirus software on your computer. We encourage you to routinely scan your computer, diskettes, and software using a reliable virus product to detect and remove any viruses found. Undetected or unrepaired viruses may alter, corrupt, damage, or destroy your programs, files and even your computer. Additionally, you may unintentionally transmit the virus to other computers, diskettes, and software. 12. INTERNET CONNECTION. You understand and agree that use of or connection to the Internet is inherently insecure and that connection to the Internet provides opportunity for unauthorized access by a third party to your computer systems, networks, and any and all information stored therein. You understand that the technical processing and transmission of the Site, including your content, may involve (a) transmissions over various networks; and (b) changes to conform and adapt to technical requirements of connecting networks or devices. All information transmitted and received through the Internet is subject to unauthorized interception, diversion, corruption, loss, access, and disclosure. Bank shall not be responsible for any adverse consequences whatsoever of your connection to or use of the Internet, and shall not be responsible for any use by you of an Internet connection in violation of any law, rule, or regulation or any violation of the intellectual property rights of another. a. You do not have enough money in your account to make a transfer or bill payment. b. We are directed to prohibit withdrawals from the account by applicable law or court order. c. Your account is closed or has been frozen. d. The transfer or bill payment would cause your balance to go over the credit limit for any credit arrangement set up to cover overdrafts. e. You or any Authorized Person commits any fraud or violates any law or regulation. f. Any electronic terminal or telecommunication device malfunctions or is otherwise not working properly and/or prevents the utilization of the Services. g. You have not provided us with complete and correct payment information, including without limitation, the name, United States address, and payment amount for the payee on a Bill Payment. h. You have not properly followed the instructions for using the Services. i. Circumstances beyond our control (such as fire, flood or improper transmission or handling of payments by a third party) prevent utilization of the Services, including without limitation a transfer or bill payment. Your use of the Services or any information obtained through the Site is at your own risk, and neither the Bank nor any of its respective officers, directors or employees, nor any other party involved in creating, producing, or delivering the Services is liable for any direct, incidental, consequential, indirect, special, punitive, or other damages of any kind arising out of your access to or use of the Services, or the inability to access or use the Services, whether caused by the Bank or such other parties, online service providers, any agent or subcontractor of any of the foregoing, or any other party. Without limiting the foregoing, in no event shall the Bank’s liability for damages arising out of this Agreement exceed the aggregate fees paid by you to Bank as stated in this Agreement. 14. DISCLAIMER. EXCEPT AS OTHERWISE EXPRESSLY PROVIDED HEREIN, THE SERVICES ARE PROVIDED TO YOU "AS IS" AND “AS AVAILABLE” WITHOUT WARRANTY OF ANY KIND, EITHER EXPRESS OR IMPLIED, INCLUDING BUT NOT LIMITED TO THE IMPLIED WARRANTIES OF MERCHANTABILITY, FITNESS FOR A PARTICULAR PURPOSE, OR NONINFRINGEMENT. WHILE THE BANK MAKES EVERY EFFORT TO PROVIDE ACCURATE INFORMATION IN CONNECTION WITH THE SERVICES, EXCEPT AS OTHERWISE EXPRESSLY PROVIDED HEREIN, THE BANK MAKES NO WARRANTY THAT (i) ITS SERVICES WILL BE UNINTERRUPTED, TIMELY, SECURE, OR ERROR-FREE, or (ii) ANY INFORMATION CONTAINED ON, RESULTS THAT MAY BE OBTAINED FROM THE USE OF, OR OTHER ASPECT OF THE SERVICES WILL BE ACCURATE, CURRENT, COMPLETE OR RELIABLE. The Site is not intended to provide legal, accounting, tax or financial advice. You should consult your own professional advisor on such matters. Information about products and services which you do not already have with the Bank is provided for informational purposes only and should not be considered as an offer to make those products and services available to you. 15. LOSS OF DATA. Without limiting any other provision hereof, you will bear the sole liability and risk of any error or loss of data, information, transactions or other losses which may be due to the failure of your computer or third party communications providers on which you may rely. We shall have no liability to you for any damage or other loss, direct or consequential, which you may incur by reason of your use of your computer. 16. INDEMNITY. You agree to indemnify, defend, and hold harmless Bank, its affiliates, and their respective employees, directors, officers, and agents against any and all claims, demands, damages, or costs or expenses (including reasonable attorneys' fees) that arise directly or indirectly from your breach of this Agreement or arising out of your use of the Services. 17. RECEIPTS; PERIODIC STATEMENTS; ONLINE STATEMENTS. a. After completing a transaction on the Site using our Services, a screen will appear which confirms that your transaction has been completed. This screen constitutes a receipt for the transaction and may be printed and retained by you. b. Your online service payments and transfers will be indicated on monthly statements we provide or make accessible by mail. You have a right under federal law to receive such statements for accounts governed by the Electronic Funds Transfer Act (EFTA) and Regulation E. We may also provide or make accessible to you statement information electronically or by some other means. You agree to notify us promptly if you change your address or if you believe there are errors or unauthorized transactions in any statement, or statement information. c. If you elect to receive your account statement(s) online, you are consenting to receive from us by electronic means only, your monthly statement for your specified deposit account and other disclosures related to this Service such as your annual privacy notice. While enrolled for online statements, you will no longer typically receive paper statements in the mail. However, you may be sent paper statements or other documents that contain important information about your account. You should continue to review any correspondence that we mail to you. d. When your online statement is available, an e-mail notification will be sent to the e-mail address that we have on file for you. It is your responsibility to update any changes in your email address through the Site. If you do not receive an e-mail and believe you should have, please visit the Site to view your statement and verify your e-mail address. You can withdraw your consent to receive your statement electronically at no cost to you by visiting the Site and setting your Statement Delivery Preferences or by contacting the Bank at (800)525-0399. We encourage you to retain a copy of any records you would like to keep. If you receive paper and electronic statements, the periodic statement that is mailed to you will be the statement of record. If you have chosen to stop receiving paper statements, the periodic statement provided to you electronically will be the statement of record. In any case, you are responsible for reviewing any statement and other account communications sent to you by postal mail. Any mailed statement and other account communications will continue to contain important information about your account(s), regardless of whether you access your account(s) through the Site or whether you have chosen to receive your statement electronically. 18. NOTICES AND COMMUNICATIONS. Except as otherwise provided in this Agreement, all notices required to be sent to you will be effective when we e-mail, mail or deliver them to the last known address that we have for you in our records. Notices you send to us will be effective when received by mail at P.O. Box 128, Estelline, SD 57234. Changes in either party’s address must be sent to the other party according to these notification procedures at least thirty (30) days prior to its effective date. 19. FEES AND CHARGES. You agree to immediately pay the Bank for the Services in accordance with the Bank's Schedule of Fees and Charges. The Bank may modify its fee schedule at any time upon thirty (30) days prior written notice to you. You agree to be responsible for any telephone charges which you incur by accessing your accounts utilizing the Services and other applicable fees. 20. TERMINATION. Either party may terminate this Agreement and your access to the Services, in whole or in part, at any time by providing the other party written notice. Termination will not affect any liability or obligation of either party incurred hereunder prior to termination. For reasonably cause, including non-usage or inactivity, the Bank reserves the right to terminate this Agreement and your access to the Services, in whole or in part, at any time without prior notice to you. If you do not access your Bank accounts via the Site for any six (6) month period, we may deactivate your ID and terminate your Services, including Bill Payment. If your ID has been deactivated for any reason, you will be required to go through the registration process again to restore access to the Services. Upon termination, we reserve the right to make no further payments or transfers from your account(s) pursuant to this Agreement, including payments or transfers you have previously authorized. If you terminate this Agreement, you authorize the Bank to continue making transfers you have previously authorized until such time as the Bank has had a reasonable opportunity to act upon your termination notice. You agree that upon termination of this Agreement, either by you or us, you will cancel all automatic or recurring transfers you have previously authorized, and that if you fail to do so, you are solely responsible for such payments. 21. AMENDMENT. We reserve the right to change the terms described in this Agreement. When changes are made to any terms, we will update this Agreement and send a notice to you at the address shown on our records. The notice will be sent at least thirty (30) days in advance of the effective date of any additional fees for Services or on any stricter limits on the type, amount, or frequency of transactions or any increase in your responsibility for unauthorized transactions unless an immediate change is necessary to maintain the security of the Site. If such a change is made, and it can be disclosed without jeopardizing the security of the Site, we will provide you with electronic or written notice within thirty (30) days after the change. As always, you may choose to accept or decline changes by continuing or discontinuing the accounts or Services to which these changes relate. We also reserve the option, at our discretion, to waive, reduce or reverse charges or fees in individual situations. Changes to fees applicable to specific accounts are governed by the applicable Schedule of Fees and Charges. 22. NO WAIVER. The Bank shall not be deemed to have waived any of its rights or remedies unless such waiver is in writing and signed by a duly authorized officer of the Bank. No delay or omission on the part of the Bank in exercising its rights or remedies shall operate as a waiver of such rights or remedies or any other rights or remedies. A waiver on any one occasion shall not be construed as a bar or waiver of any rights or remedies on future occasions. 23. CAPTIONS. The captions of sections hereof are for convenience only and shall not control or affect the meaning or construction of any of the provisions of the Agreement. 24. GOVERNING LAW. This Agreement will be governed by, and construed in accordance with, the laws and regulations of the State of South Dakota and applicable Federal laws and regulations. In addition, you agree to be bound by and will comply with the terms of this Agreement, the requirements of your Bank account(s), the Bank’s rules and regulations, and the rules and regulations of any funds transfer system to which the Bank belongs. 25. ENFORCEMENT. In the event either party brings legal action to enforce the Agreement or collect overdrawn funds on accounts accessed under the Agreement, the prevailing party shall be entitled, subject to applicable law, to payment by the other party of its reasonable attorney’s fees and costs, including fees on any appeal, bankruptcy proceedings, and any post-judgment collection actions, if applicable. If there is a lawsuit, you agree that it may be filed and heard in the State of South Dakota, if allowed by applicable law. 26. SEVERABILITY. Should any part of this Agreement be held invalid or unenforceable, that portion shall be construed consistent with applicable law as nearly as possible to reflect the original intent of the Agreement, and the remaining portions shall remain in full force and effect. 27. ENTIRE AGREEMENT. This Agreement and all links to exhibits embody the entire agreement between you and Bank regarding the Services covered under this Agreement. It supersedes all proposals and prior agreements and all oral discussions relating to the subjects covered in this Agreement. It may not be contradicted by evidence of prior, contemporaneous or subsequent oral agreement between you and Bank. There are no unwritten oral agreements between you and Bank. If there is a conflict between the terms and conditions of this Agreement and one or more terms contained in the other agreements between you and Bank, this Agreement will control. 28. VIOLATIONS OF TERMS AND CONDITIONS. Bank reserves the right to seek all remedies available at law and in equity for violations of this Agreement, including the right to block access from a particular Internet address to the Site. 29. ADDITIONAL INFORMATION. You agree to execute any additional documents and to provide any information (including information necessary to remake or reconstruct any deposit, transmission, file or entry) that Bank reasonably requests. 30. FORCE MAJEURE. No party will be deemed to have breached this Agreement if it fails to perform because of a cause beyond the reasonable direct control of that party, and without fault or negligence of that party. Examples of causes beyond the reasonable direct control of a party include, without limitation, any failure or interruption of any electronic communication system between you and Bank, equipment or software failure or malfunction, electrical, computer, or mechanical failure or malfunction, action or inaction of government, civil or military authority, fire, strike, lockout or other labor disputes, flood, hurricane, war, riot, theft, earthquake, natural disaster, default of common carriers or third party vendors, and suspension in payments by another financial institution. 31. SUCCESSORS AND ASSIGNS. This Agreement is binding upon and is for the benefit of Bank and you and their respective successors and assigns. Bank may, at any time, assign this Agreement to any affiliate, subsidiary, parent, any company owned or controlled by any affiliate, subsidiary or parent company, any entity who acquires substantially all of the business of Bank, or any other party. 32. FUNDS TRANSFER SERVICE FOR ACCOUNTS SUBJECT TO THE ELECTRONIC FUNDS TRANSFER ACT. The EFTA and Regulation E may govern some of the accounts to which you have household access through the Site. In general, the EFTA and Regulation E govern consumer accounts established by a natural person primarily for personal, family or household purposes. The following terms and disclosures apply only to consumer accounts governed by the EFTA and Regulation E ("Consumer Accounts"), and, with respect to Consumer Accounts, if there is any conflict between these disclosures and terms set forth elsewhere in this Agreement, these disclosures shall control. These disclosures do not apply to accounts that are not Consumer Accounts, including without limitation any business or commercial account or any account not established primarily for personal, family or household purposes. a. CUSTOMER LIABILITY. You should notify the Bank immediately if you believe any of your accounts have been accessed or your ID and/or password has been used without your permission. Contacting the Bank immediately, especially by telephone, will help you reduce your potential losses. If someone used your ID and/or password without your permission, you can lose no more than $50.00 if you notify the Bank within two (2) Business Days of discovering any unauthorized use of the ID and/or password. However, you can lose as much as $500.00 if you do not notify the Bank within two (2) Business Days of discovering the unauthorized use and the Bank can prove that it could have prevented the unauthorized use had it been notified. If you do not report unauthorized transactions that appear on any of your periodic statements within sixty (60) days after such statements are mailed to you, you risk unlimited losses on transactions made after the sixty (60) day period has passed if the Bank can show that it could have prevented the unauthorized use had it been notified within this sixty (60) day period. At the Bank’s sole discretion, we may extend the time periods. You are fully obligated to us to provide sufficient funds for any payments or transfers you make or authorize to be made. If we complete a payment or transfer that you make or authorize and subsequently learn that you have insufficient funds for the transaction, you agree that we may reverse the transaction or offset the shortage with funds from any other deposit account(s) you have with us to the extent permissible by the applicable law and the terms of any other relevant agreements. b. PREAUTHORIZED TRANSFERS. A preauthorized electronic fund transfer (PEFT) is an electronic fund transfer that is authorized in advance and is scheduled to recur on a periodic basis. If a PEFT to your account(s) with the Bank is scheduled to occur at least once every sixty (60) days, you are entitled to request a notice of the transfer from us within two (2) Business Days after it occurs. If a PEFT from your account to a payee outside the Bank (for example, utility company) will vary in amount from the previous transfer under the same authorization, you have the right to receive from the payee written notice of the amount and date of the transfer at least ten (10) days before the scheduled date of transfer. Under the EFTA and Regulation E, you have certain stop-payment rights and obligations for PEFTs. You can stop any PEFT by calling or writing to us at least three (3) Business Days before the payment is scheduled to be made. If you stop payment by telephone, we may also require you to send us your request in writing within fourteen (14) days after you call. c. BANK'S RESPONSIBILITY. The Bank is responsible for completing transfers on time according to your properly entered and transmitted instructions. However, the Bank will not be liable for completing transfers: (i) if, through no fault of ours, you do not have enough available money in the account from which a payment or transfer is to be made; (ii) if the account has been closed, frozen, or is not in good standing; (iii) if we reverse payment or transfer because of insufficient funds; (iv) if any transfer exceeds the credit limit of any account or under the instructions of this Agreement; (v) if you have not properly followed software or Site instructions on how to make a transfer or other transaction; (vi) if you have not given the Bank complete, correct, and current instructions, account numbers, IDs, passwords, or other identifying information so that the Bank can properly credit your account or otherwise complete he transaction; (vii) if you receive notice from a merchant or other institution that any payment or transfer you have made remains unpaid or has not been completed, and you fail to notify us promptly of that fact; (viii) if withdrawals from any of your linked accounts have been prohibited by a court order such as a garnishment or other legal process; (ix) if your computer, your software, or the Site was not working properly and this problem should have been apparent to you when you attempted to authorize a transfer; (x) if you or any Authorized Person commits fraud or violates any law or regulation; (xi) if circumstances beyond the Bank’s control prevent making a transfer or payment, despite reasonable precautions that the Bank has taken. Such circumstances include telecommunications outages, postal strikes, delays caused by payees, fires, and floods; or (xii) in any other set of circumstances as set forth in your account agreements. Sections 13 and 14 of this Agreement apply to the fullest extent permitted by law to Consumer Accounts. There may be other exceptions to the Bank’s liability as stated in the deposit, line of credit, and other Bank agreements. d. ERROR RESOLUTION; QUESTIONS ABOUT YOUR ELECTRONIC TRANSFERS. If you believe your ID and/or password has become known by an unauthorized person, or that an unauthorized transaction has been or may be made from your account, alert the Bank immediately by calling us at (800)525-0399 or writing to us at P.O. Box 128, Estelline, SD 57234. If you think your statement is wrong or if you need more information about a transaction listed on the statement, the Bank must hear from you no later than sixty (60) days after it sends or delivers to you the FIRST statement on which the problem or error appeared. If you request more information about a problem or error, the Bank must hear from your within sixty (60) days after it sends or delivers that information to you. Tell us your name and account number(s). Tell us the type, time, and date of the transaction and the dollar amount of the suspected error. Describe the error or the transfer you are unsure about, and explain as clearly as you can why you believe it is an error or why you need more information. For a Bill Payment, tell us the checking account number used to pay the bill, payee name, payee address, date the payment was scheduled, payment amount, reference number, and payee account number for the payment in question. If you tell the Bank orally, it may require that you send in your complaint or question in writing within ten (10) Business Days. We will determine whether an error occurred within ten (10) Business Days after you contact us and will in good faith attempt to correct any error promptly. If the Bank needs more time, however, it may take up to forty-five (45) days to investigate your complaint or question, in which case, the Bank will re-credit your account within ten (10) Business Days for the amount you think is in error, so that you will have the use of the money during the time it takes the bank to complete its investigation. If the Bank asks you to put your complaint or question in writing and does not receive it within ten (10) Business Days, the Bank may not re-credit your account. We will tell you the results within three (3) Business Days after completing our investigation. If we decide that there was no error, we will send you a written explanation. You may ask for copies of the documents that the Bank used in its investigation.